Lincoln says they are trying for a July release. This is the style that my wife will want to replace her RX330 in a couple of years, although her first comment was "it's a little small". If Ford adapts the hybrid system to the MKC, they will have a one, two punch along with the FFH that will be hard to beat. Is that based off the Escape chassis? It has the MKZ/Fusion interior styling too. It is based on the Escape and has an all glass roof, which they say will make it into production. This could save Lincoln. The design is by the same guy that did the Fusion. Thats what I thought. They stopped making an Escape Hybrid though, so wonder if that will make a comeback. I test drove an Escape, its OK, but nothing I would buy. Wow, Lincoln's design is very radical! Maybe too radical for my taste. 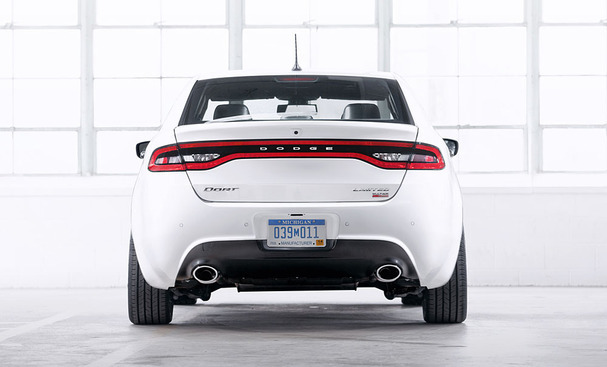 The rear light design looks very similar to Dodge Dart. Im going to chime in here and say my dealer mentioned about these coming and should start to hit lots by newyears. I just drove a '13 Escape for about 200 miles. It had a lot of the Fusion driving feel to it but the ICE was kind of buzzy sounding. However, with my new hybrid driving skills I was able to get over 30mpg for the trip. I did not like the Escape's interior and dash configuration and this Lincoln takes care of that with that beautiful interior design. The Escape looked small but somehow didn't feel that small when inside. Yes, I think the MKC will sell very well if they can make it quiet inside, unlike the Escape. The MKC will be a good seller if priced right. I also read somewhere the MKC will get the hybrid form. I believe the escape is getting it back in 2016. So who knows, maybe the MKC hybrid will be the base lincoln to help sales. You'll spend a lot more money if you want the new 2.3 L engine. Still wish they had a hybrid option, but this would probably push the MKC above $45K in the Reserve trim. Unless they offered it like in the MKZ...no extra cost over the base motor. I just tried to build & price one and the website is not working well. You can't change interior colors among other issues. The 2014 Fusion site still does not work well and they are building them. Edited by hermans, 17 December 2013 - 08:16 AM. Now that is one car I dont like. Looks too much like the Escape/Explorer/Cmax. Way over priced too for what you get. If you want the ACC you have to buy the entire package. Out of all those, the only things I would want in a car is the BLIS and Adaptive Cruise. I think this is why I liked the MKT, it does not look like the Flex at all, yet its the same chassis, same with the MKZ, Same as the Fusion, but doesnt look anything like it. Is this the Lincoln version of the Ford Edge? In hybrid trim it would be a awesome package. I like it. It's based on the Escape platform, but the dimensions have all been tweaked. The Escape and MKC have far fewer similarities than the Fusion and MKZ. It more closely resembles a jacked up MKZ rather than any of it's C-platform counterparts. I was holding out hope for a MKC Hybrid but went with then MKZ Hybrid when they didn't announce it. Everyone I talked to at the dealership agreed that they should be offering a hybrid, and hopefully they'll add one for the second model year. How anyone can think the MKC looks ANTHING like the Escape. Explorer, or (OMG) a CMax ??? is beyond me. Not one single body panel is the same as any of those. The interior is completely different. Sheesh! You sound like the automobile magazines that don't like the MKZ because it's based on the Fusion/Mondeo. Edited by SteveB_TX, 17 December 2013 - 03:51 PM. It has the same body lines as the Escape, the roof looks like a Cmax, and the rear looks like an Explorer. Only from the front does it look like a Lincoln. To me it looks like they took all three cars, threw them in a blender, set it on mash, and poured out the MKC. I dont know if they changed the interior, but early shots had the same trim that is in the Fusion. I think 49 is a bit high. $44,000 loaded would be about top price. The 2.3 L really ups the price since it only comes with AWD. For $44K, you can get the 2.0 with just about everything.